A sleeveless crinkled vest features a full button placket, lightweight hood, and slouch pockets. 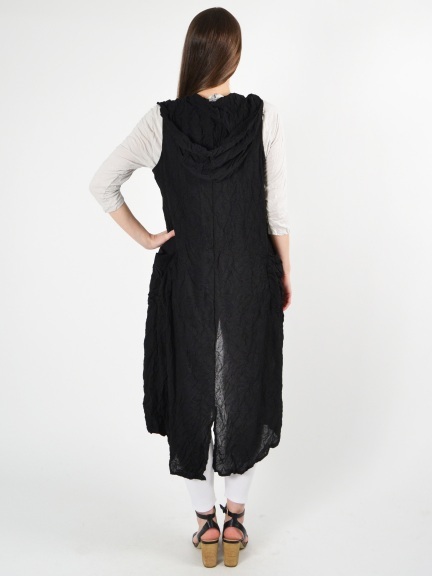 Vest is made to fall around knee-length. Made in the U.S.A.